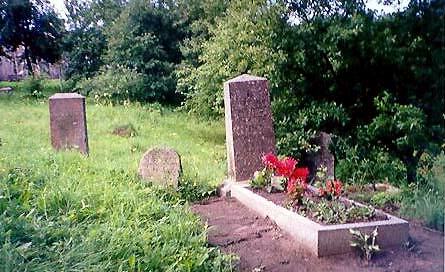 In May 2001, Fania Hillelson Jivotovsky (Fania's father was from Sudarg) and 11 cousins made a family trip to Lithuania to visit the home towns of their ancestors and to pay respect to the burial sites of family in the towns of Sudarg, Yurburg, Rassein and others. 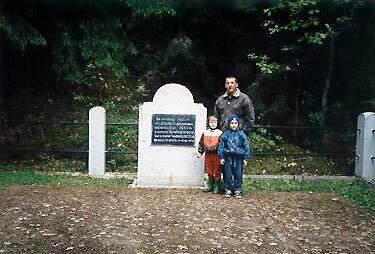 They also went to the mass massacre sites of these towns and lit Memorial Candles in memory of the murdered cousins. 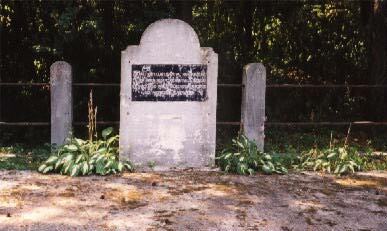 They found and visited the remnant of the Jewish Cemetery in Sudarg. 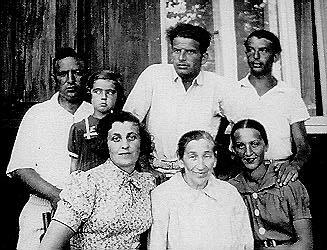 While there Fania discussed with the farmer whose land is adjacent to the cemetery the possibility of cleaning up the graves of her great grandparents, Berzik and Leah Rosin. 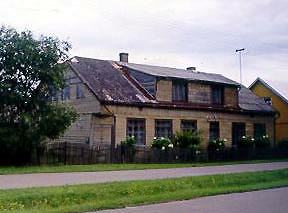 Many months later the farmer, Gintas Damusis, sent Fania this photo and also the photo of the home of Fania's Aunt Elka Goldberg. 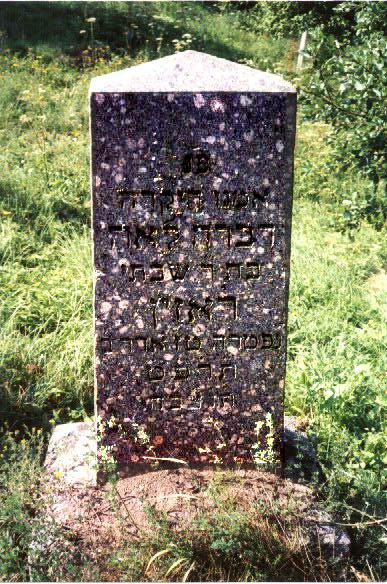 Devorah Leah bat Shabtai ROSIN, died 3/29/1929. 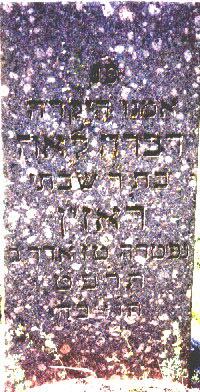 Dov ben Dov ROSIN, died 1/8/1921 at the age of 63. 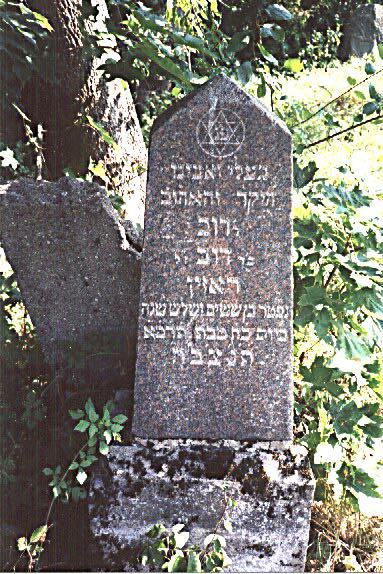 While in Sudarg, Fania's family stopped a young couple on the side of the road to ask for help in locating the Mass Massacre sites of the Sudarg Jews. The couple was very helpful because they knew the sites and wanted to assist the group. The family boarded the tour bus and directed the driver down country lanes into the forest to a point where the bus could no long negotiate. The young couple with their young son then led the group off and found one of the two sites. 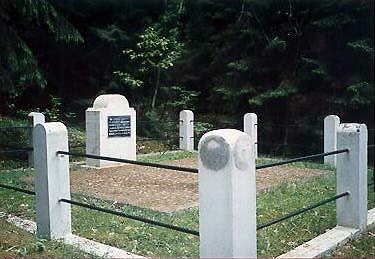 After lighting Memorial candle and saying Kaddish at the first site, the couple tried in vain to find the second site. Months later they sent Fania the picture below of that second site. Fania was deeply touched by these Sudarg residents and their sensitivity to the importance of these issues. Material Below supplied by Barbara Clow, photos taken in 2000. 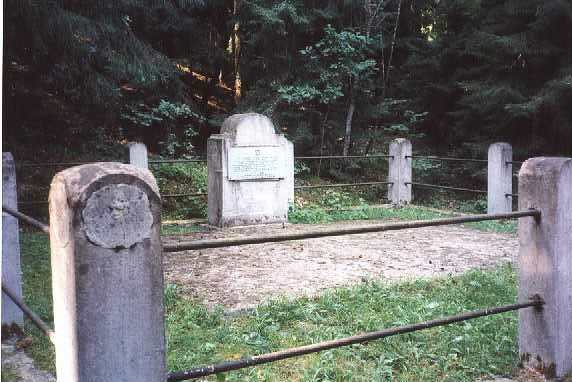 Photographs (above and below) of a site in the forest between Kidiuliai and Sudargas where a plaque in Lithuanian states, "In the forest between Kiduliai and Sudargas, Lithuania Hitler's occupation forces took 40 women and 16 children from Sudargas and shot them here. August 11, 1941." 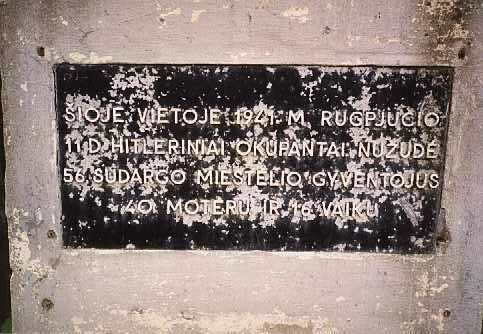 Plaque in Lithuanian states, "In the forest between Kiduliai and Sudargas, Lithuania Hitler's occupation forces took 40 women and 16 children from Sudargas and shot them here. August 11, 1941." 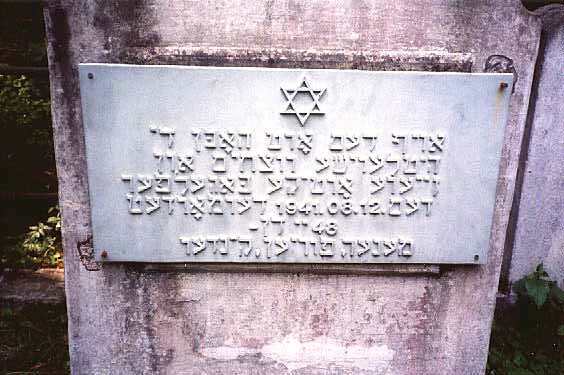 Plaque in Yiddish reads, "In this place Hitler's murderers and their local helpers slaughtered 48 Jews men, women and children on 8/12/1941."